to play it on the ChessKid website. The Homeschool Buyers Co-op is pleased to present a the BEST DEAL ON THE PLANET for a Gold Membership to to ChessKid.com from Chess.com. A basic membership to ChessKid.com is free, but by joining this GroupBuy members save 20% off the price of a Gold Membership for the entire family (one parent and up to 5 students). Also, parents get their own Gold Membership FREE when they signup a child for a Gold Membership! These savings are unavailable elsewhere --- ONLY at the Co-op! "The #1 Chess Website for Kids"
Safety: No contact with strangers. Parents manage their kids' access and friendships online and can monitor their activity. Learn & Improve: Discover the rules and strategies of chess! Improve your game, memorization skills, patience, and sportsmanship! Play & Have Fun: Free online games with other kids from around the world! Enjoy tournaments & club matches too! Full Length Video Lessons: Gain access to our library of full length video lessons. Basic members see only short samples. More Tournaments: Play in as many tournaments as you want! Basic members are limited to 1 tournament at a time. Endless Puzzles: Solving puzzles is the fastest way to improve your game! Basic members get 3/day. More Training Positions: Practice winning won games against the computer! Gold members get access to all positions. Get More Stats & Ratings Details: See your progress graph and win/loss charts. You can also see other players' stats. Create Clubs: Parent/Coach Gold members can create clubs - ideal for managing a group of kids or students! Messages Archive: Gold members keep their messages for 365 days! Basic members keep only 21 days. Unlimited Game History: Gold Members have unlimited access to past games! Basic Members have only 30 days history. 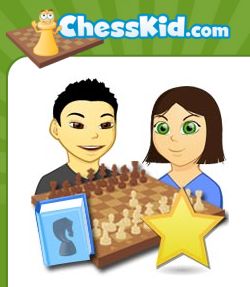 Gold Star: Show your ChessKid.com support with a Gold Star next to your name! Sign up for a FREE Parent/Coach basic account, then add your kids. Fulfillment: Please allow up to seven (7) business days after placing your order for Chess.com to upgrade your free ChessKid account to Gold. If you already have a Gold account, Chess.com will add 365 days to it. If you don't get a notification email within that period of time, simply sign into your ChessKid account and look for the gold star to verify that it has been upgraded to a Gold Membership. Current Gold Members: Chess.com will not refund or renegotiate the price of any existing Gold membership. Instead, if you place an order below they will add 1 year to your existing membership. Multiple Student Discount: In order to get the multiple student discount, you must include ALL your students in the same order. You can order for other students later, but we won't be able to extend the multiple student discount for them. Returns/Cancellations: As this is a special group purchase, you cannot back out once you place your order. In order to bring you these great prices, we cannot accept returns. 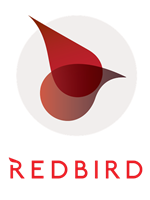 Please sign up for the FREE Basic Membership and make sure this a Gold Membership is what you really want before you upgrade. This Gold subscription to ChessKid.com is for one (1) student for one (1) year. Enter your child's ChessKid username in the space below. You and your child must have an existing ChessKid account in order for you to upgrade to a Gold Membership on this order form. If you and your child do not yet have a free ChessKid account, please sign up for a free parent account (Tell them the Homeschool Buyers Co-op sent you!). Then, check your email to confirm and activate your new account. Next, add your child to your account. THEN come back to this order form to complete your order for a Gold Membership. Enter the parent's email address that is associated with your child's account. Enter the parent's username in the space provided. Wait up to 7 business days for Chess.com to upgrade your Basic to a Gold Membership. If you don't get a notification email within that period of time, simply sign into your ChessKid account and look for the gold start to verify that it has been upgraded to a Gold Membership. This Gold subscription to ChessKid.com is for a 2nd child in the same household for one year. This Gold subscription to ChessKid.com is for a 3rd child in the same household for one year. This Gold subscription to ChessKid.com is for a 4th child in the same household for one year. This Gold subscription to ChessKid.com is for a 5th child in the same household for one year. Click here to confirm that you already have a free, valid ChessKid account for a parent and each child for whom you want a Gold Membership, and have provided their existing ChessKid username on this order form.